Login to My Account / Downloads page and download GoldAddons PRO plugin. 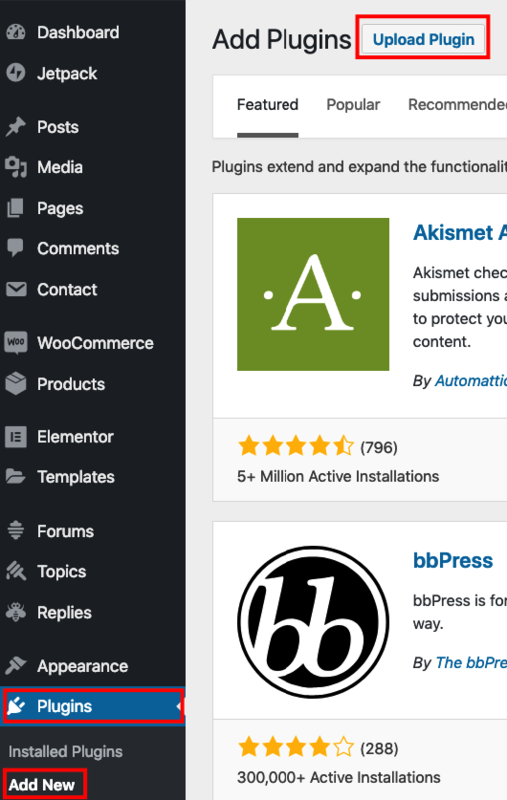 Upload & install downloaded gold-addons-pro-for-elementor.zip archive thru WordPress admin -> Plugins page. Login to My Account / License Keys page and click “View” link & copy license key. 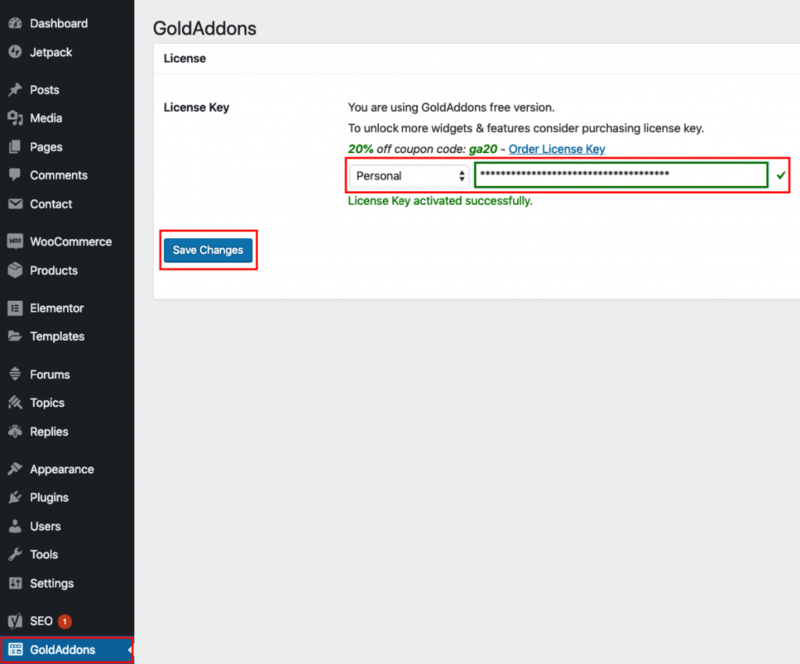 Go to Admin Dashboard -> GoldAddons, select license type and paste license key. Hit “Save Changes” button and you are done. Once license is activated the PRO widgets will appear in Elementor GoldAddons category.